China Ebola hospital, Liberia: 100-bed center announced. 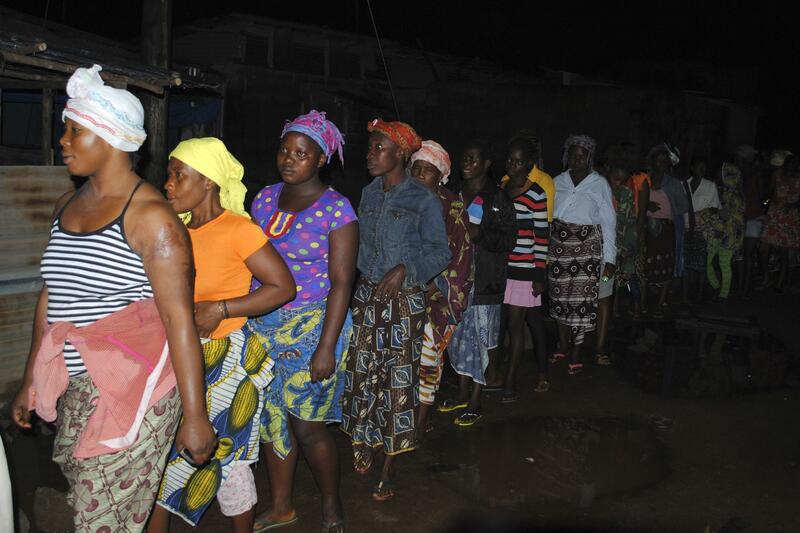 A line for home disinfectant kits in Monrovia, Liberia. Foreign ministry spokesman Hong Lei elaborated on the announcement at a regular press conference on Thursday afternoon. “In Liberia, we will build a 100-bed medical centre,” he said. “On 9 November, 160 medical workers will set off for Liberia.” He added that 320 additional workers would arrive at the centre at a later date. “All the construction materials, construction workers and medical workers are in place,” he said. The centre is scheduled to open in 30 days. … A large question mark hangs over the contributions of China and Russia, the two other permanent members of the UN security council, as well as other emerging powers including the remaining, supposedly up-and-coming Brics countries – Brazil, India and South Africa. “This is a very serious problem” Ban said, referring to the fact that only $100,000 has been contributed to the UN’s $1bn Ebola fund. “It’s time that those other countries who really have capacity … provide financial and other logistical support,” he said. For the habitually cautious Ban, this was fighting talk. Two U.S. treatment facilities totalling 125 beds are expected to open in Liberia in the next week with 17 more facilities planned.